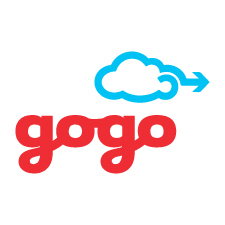 Gogo LLC is the leading provider of in-flight connectivity and wireless entertainment solutions for the aviation industry across the world. Together with InterVenture, we were able to build up our tailor-made engineering team in Belgrade. Our Serbian team works now hand in hand with our in-house software developers, which enables us to increase the time to market while keeping code quality at the highest level. Our standard application stack is based on Java 8 (preparing for 9), Spring Boot, Spring Cloud and Netflix OSS (Zuul, Eureka, Archaius, Ribbon, Hystrix etc. ), as well as React, Redux with redux-thunk, ES6, Sass, CI/CD with Jenkins and Spinnaker. Data is stored in a variety of storages, depending on the best match (MariaDB, Postgresql, Memcached, Amazon’s DynamoDb, Elasticsearch). By combining proven and cutting-edge technologies, we are ready to embrace the change with increased confidence about tomorrow. We consider ourselves a fully integrated Gogo team in Belgrade, or at least as integrated as possible considering the geographical distance. Each application we’ve developed brought together multiple teams in Chicago and Belgrade. Slack, combined with video conferencing tools like Skype, Google Hangouts and Highfive enable us to easily communicate on a daily basis with our colleagues in Chicago. Regular in-person meetings, both in Chicago and Belgrade round up the joint team spirit. Our collaboration is at a top level. The team is in all aspects considered part of the Gogo, engineering family. We are included in every design decisions, and we are not only allowed, but also encouraged to drive many initiatives ourselves. Book a free workshop or consultation or just give us a call at +41 44 543 43 19 We would love to hear from you!